The Norfolk Business Awards 2018 hosted by comedian Katherine Ryan is nearly upon us. 2018 has seen the emergence and success of many local businesses with Kettle Chips celebrating 30 years in Norwich, Center Parcs sharing plans for a £10m investment and independent eatery, Bann Thai (located in Cromer) thriving in our tough economy. 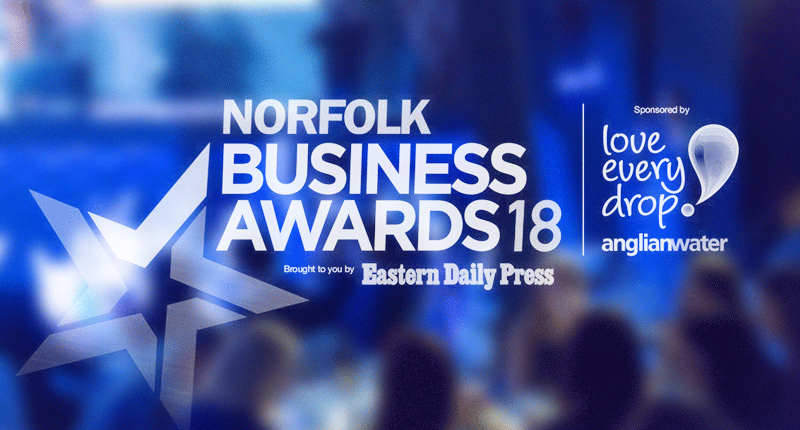 Previously EDP Business Awards, The Norfolk Business Awards 2018 recognises and trophies businesses that are excelling and considered a credit to our county’s business climate. They are awarded to companies that are inspiring others and positively representing Norfolk and East Anglia on a national and international scale. This year’s theme is people – a topic that focuses on individual and collective efforts that when united form a business. The awards are not subject to particular business sectors meaning the recipient can range from a law firm to an AI developer and with six months until the event, now is the time to enter your business. There are 11 awards open for entry which include titles such as Best Employer, Customer Care and Knowledge Pioneer (find full list at bottom of page). All finalists will also be considered for the Overall Business of the Year title and one individual will receive the Outstanding Achievement award. The Norfolk Business Awards is taking place at The Norfolk Showground Arena on November 22 and is sponsored by Anglian Water.